With a neutral pebble grey base, white screen-printed detail and clear white inserts, this stylishly understated hand-made 7 tipped neutral ceiling lampshade effortlessly adds a designer finish to any room. Clear white beads of light glow against a complementary pebble grey background to create a classic, confident and versatile lightshade that’s at home in any space. 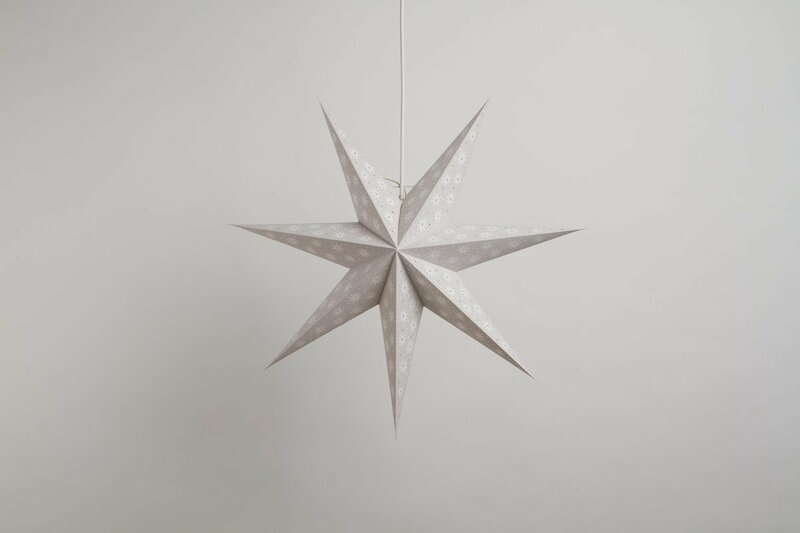 The pale grey base glows with a pale diffused light picked out by textured screen-printed motifs, making this hand-printed star perfect for reading and detailed work, and a great choice if you’re looking for a decorative lampshade that will be the main source of light in a room. 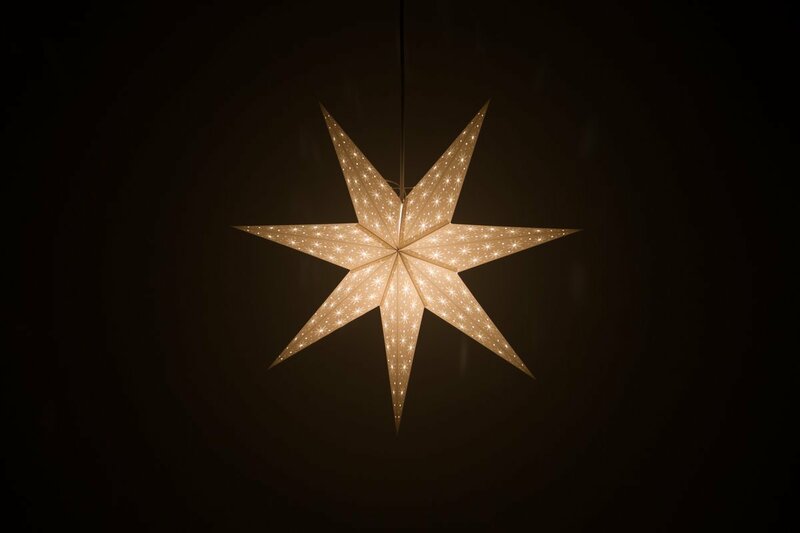 For a classic Scandinavian look, display this star in the window or over a table at Christmas - its clear light and clean lines create a statement piece that’s visible from a distance. Swap an LED light for an electric bulb if there is no power source. View the rest of the Spirit paper star range below!